This compatible Cyan ink cartridge is an "individual" single colour cartridge that contains high quality ink. Individual cartridges are part of a cartridge set and allow individual replacement of "empty only" cartridges. 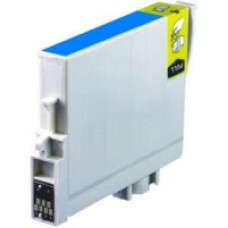 Compatible Cartridge For Epson T0551 Black Cartridge. This compatible Black ink cartridge is an "ind..